Notice the Somalia “Evangelist” in the picture. He has no feet. He is a Servant of Jesus Christ who lost his feet preaching the Gospel. You see there were a few Muslims who offered to pay the Evangelist to stop preaching, (they feared him because of the anointing of God upon him), but he refused their bribe. And then there were the other more devout (i.e. more demonic) Muslims who became outraged when they heard of the Muslims who offered him money to stop preaching. In fact they gathered up their forces (demonic) and severely beat and chastised those who had tried to bribe the Evangelist. And after having taken care of their own, the Muslims approached the Evangelist with their demand that he stop preaching the Gospel and pay them a tribute to Allah. Well, again he refused, so they cut off his feet. However, as soon as his wounds had healed he crawled for miles on his hands and knees to preach “The Gospel of The Kingdom” to the surrounding villages. Then one day a Muslim heard the gospel message that the Evangelist preached and received Jesus as His Lord and Saviour. 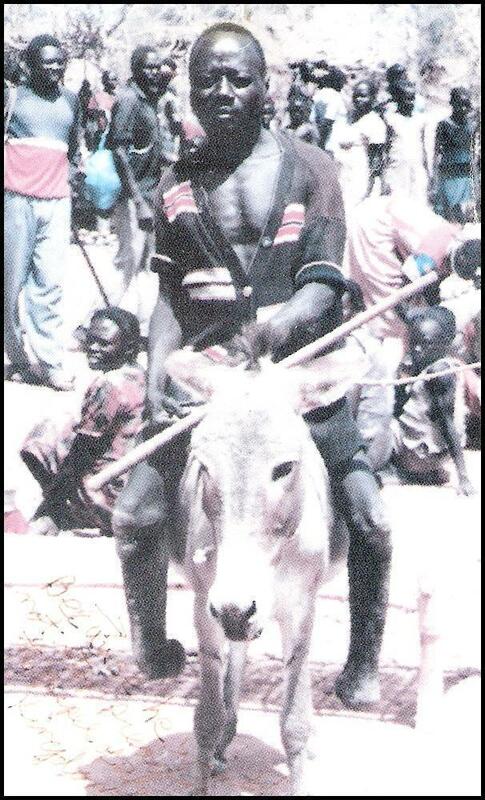 In gratitude for his salvation message, the ex-Muslim gave the Evangelist his donkey… and even though it was all he owned and his only means of earning a living. So do you consider yourself a Christian? Have you given up “ALL” for the Kingdom of God?